More animal work for my zoo! I think the third time is the charm with the giraffe. I finally allowed myself to use a smaller face, which then opened the door to further miniaturization of the entire body. 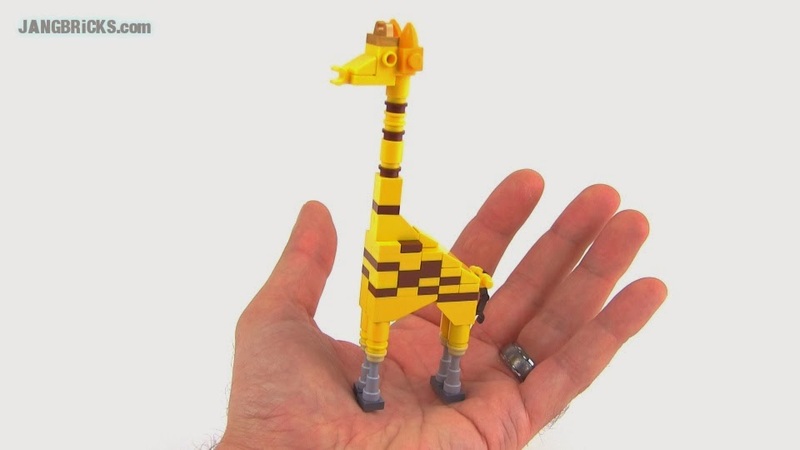 With a smaller, lower-resolution build I was able to finally introduce the overused, somewhat unrealistic, but very recognizable yellow-and-brown color scheme made popular by Geoffrey the Toys R Us giraffe. The important thing here was the introduction of spots, which were simply impossible with the previous design. I would eventually like to convert the yellow to a more realistic tan, but right now I don't have the needed pieces. Then there's this guy, an African Forest Buffalo (see the real ones on Google Images). 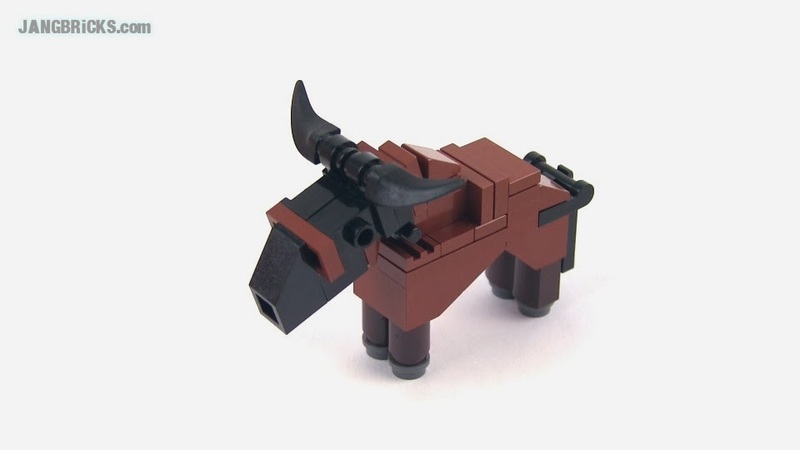 This one started out as an experiment to try to create something from a class of animals I had in my head, then when I got close, I went in reverse and found an animal that looked like the MOC. To finish it, I returned to the normal process of trying to make the MOC look like the real deal. I'm very happy with the result, though, so that's really all that counts! I enjoy both of those animal builds and frankly, all three verisons of your giraffe looked right in my eyes. Good job!